LOL/OMG: Make your mark...on the facade of the 331 Club! This just in, via @vita_mn Twitter: Vita.mn is hosting an open call for all visual artists as it commissions a mural to be installed outside wall of The 331 Club in NE Minneapolis. The mural will go up on May 15th during Art-a-Whirl weekend and it will hang for one full year. Artists are kindly asked to "not submit grossly offensive or inappropriate works unfit for public display. All works and/or proposals will be equally considered and, well, anything goes! 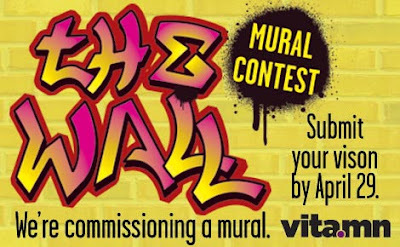 Street artists, graphic designers, photographers… all are welcome to participate!" For more info and important dates go to Vita.mn. Please, no more graffitti "art".